The family comprises of about 500 genera and 4500 species including such as Avena sativa (Oat – Jai, Barley) commonly distributed in temperate region, but are also found in tropical and sub-trope! Areas. in Pakistan family is represented by many crop plants such as: Triticum aestivum (Wheat), Oryza sativa (rice), Hordeum vulgare (barley), Zea mays (maize), Sorghum vulgare (jowar), Avena sativa (oat). 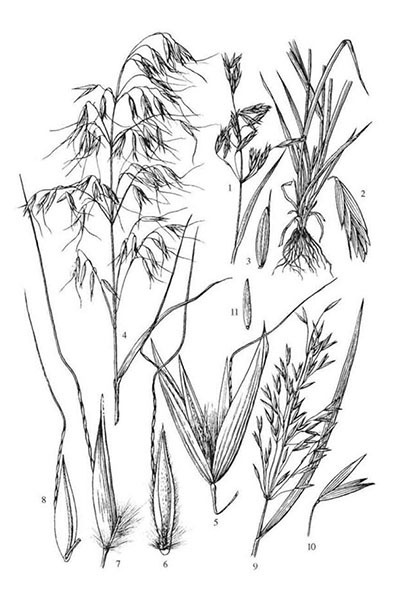 Saccharum officinarum (sugar-cane); and grasses like: Poa, Festuca, Andropogan, Cynodon, Cymbopogan, etc. 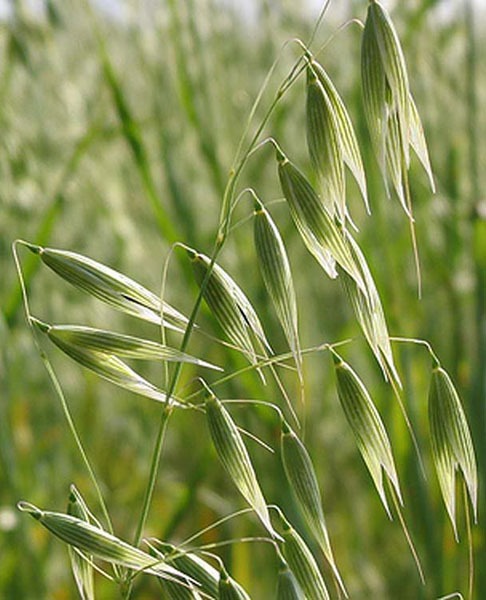 The representative species is Avena sativa (barley). It is a cultivated herb. Erect, cylindrical, distinct node and internodes, node swollen; fistular. Cauline and ramal, exstiputate, alternate, Simple, Ligulate, Venation: parallel, Leaf base sheathing. Inflorescence, A panicle of spiketets. Each spikelet consists of two perfect and one terminal imperfect flower enclosed by two glumes. Bracteate (bracts are represented by an inferior palea which bears a stiff hair. The Bracteolate (bracteoles are represented by a boat-shaped superior palea). Incomplete, Zygomorphic, Bisexual, Hypogynous. Represented by two-minute scary lodicules borne on a short axis within the two paleae. 3 stamens, Polyandrous, Filament bong, Anthers: versatile, inferior. Monocarpellary, Ovary: superior with a single basal ovule, Placentation: basal, Style short, Stigma: two and feathery. Most of the plants i.e., cereal crops provide food for man. The dried stem and leaves of the cereal crops yield toori, which is used as fodder for the cattle. Dried grass or hay is also similarly used. Sugar, Gur and Shakar are obtained from the sweet juice obtained from the stem of sugar cane of which there are several varieties. Paper is manufactured from certain species of grasses, and bamboos. Bamboo are used as building material for scaffolding, thatching huts, making boats, carts, pipes etc., and the split are woven into mats, basket, fans, hats, coarse umbrellas, ropes and brushes. Leaves of bamboo are also given to horses as a cure for cough and cold etc. The young shoots are often pickled and the seeds are also eaten by poor class of people. A white siliceous substance known as Tabasir deposited near the joints is given to children as a tonic and astringent. Certain grasses yield fragrant oils, medicine, e.g., Vitiveria zizandoides and Andropogon squarrosus (Khas), yield the oil-bearing vetiver roots; Cymbopogon citrates (lemon-grass), yield the lemon-grass oil; C. nardus is cultivated for its aromatic citronella oil; G. flexosus for lemon-grass oil; C. martini, geranium grass is the source of oil. Andropogon odoratus is the ginger-grass. The oil obtained from these plants are used in perfumes and soap industry. Spinifex littorcus is a useful sand-binder on the seashore. The stony bracts of Coix lachryma (Job’s tears) are strung in to necklace. Imperata cylindracea is the cotton grass. 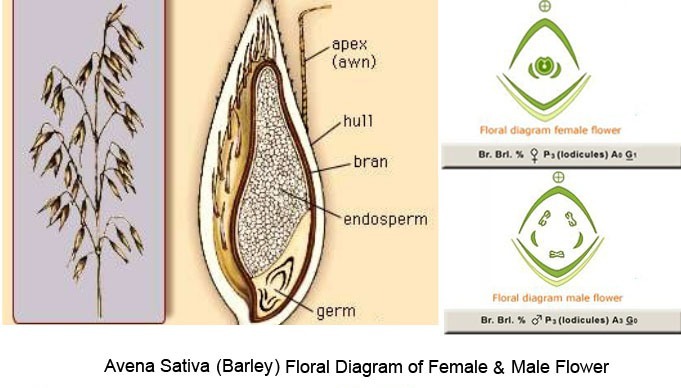 Rye is largely cultivated as its inflorescence when attacked by Claviceps purpurea, yield ergot from which ergotine, a drug for controlling uterine hemorrhage after child birth is extracted.